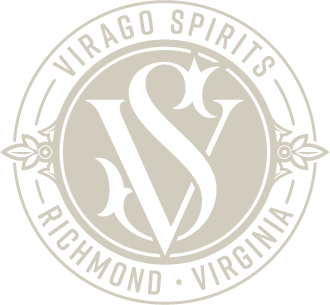 Virago Spirits, a locally owned and operated distillery located in Richmond, Virginia, seeks to build our team with the addition of a Sales Associate. This unique opportunity combines sales and bartending experience to create a hybrid role designed to meet the needs of a startup craft distillery. Flexibility in the role is required as needs update. This is an excellent full-time opportunity for the right candidate to join a growing and ambitious team. This full-time position will spend approximately 50% of the time on outside sales and marketing and 50% of the time in the Tasting Room. Sales - Build relationships and grow distribution with existing and new bars, restaurants, and ABC stores statewide. Tasting Room – Work behind the bar as bartender during Tasting Room hours and special events to provide exceptional guest experience and sales support to our guests. Conduct distillery tours. Manage the Tasting Room bar by developing cocktail recipes, ensuring sufficient supply of ingredients and training part-time and temporary Tasting Room staff for special events. Marketing Coordination - Provide marketing support by coordinating social media posting, merchandise development, website updates and marketing materials for special events. This position will work directly with all Virago Spirits distillery owners, customers, bartenders, restaurant owners and ABC stores. This job will involve weekends, evenings and days of variable times. $36,000 plus benefits and incentives. Transportation and clean driving record required. This position should have a proven record of experience in sales and marketing in the spirits industry (1-3 years preferred) and experience as a bartender involved in cocktail development. College degree in sales/marketing preferred. Must demonstrate a desire, aptitude, and high degree of comfort in working with the general public on a regular basis. Please send your resume and two references via email to Vicki Haneberg at vicki@viragospirits.com.